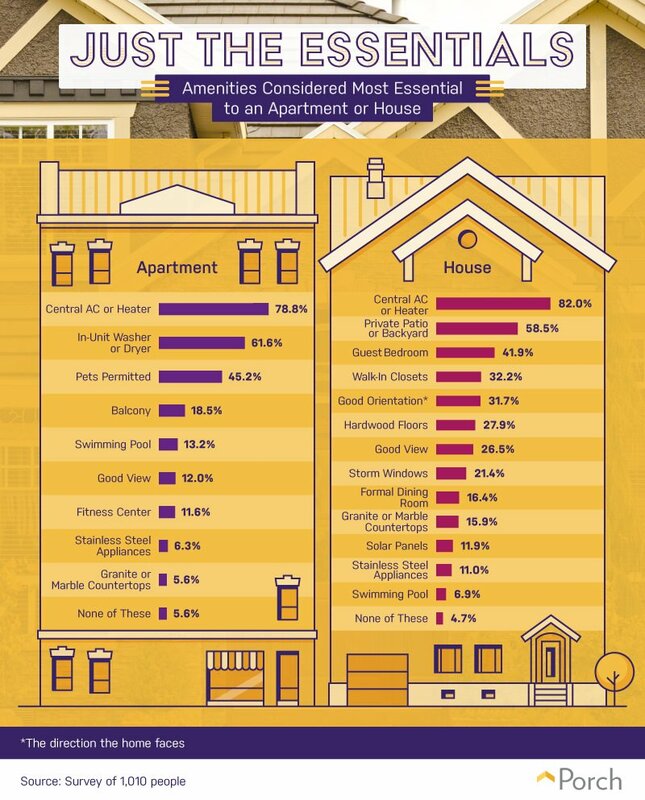 What are homeowners top nonnegotiable amenities? 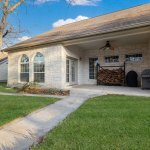 An article on Porch.com (see below for link to article) reveals what Homeowners consider their top nonnegotiable amenities. Different areas of the United States have different needs so I can see variances in those responses. The data is from about 1,000 people of which over 50% were millennials. #1 Central air and heat were the big winners. Living in Texas I can totally agree with that as would anyone from the southern United States. If one were from the northern United States I would think the order would be heat and central air. #2 The next winner was a private patio or backyard. Flooring matters to many homeowners. More than 1 in 4 consider hardwood floors to be the most essential amenity in their house, according to the survey. One of the portions that surprised me was a couple of the items in the amenities section. So what are homeowners most willing to splurge on? It differs by age group, according to the chart below. They asked the different generations what they would pay for specific amenities and swimming pools won in 2 groups. Where did other splurges fare? Currently most people expect stainless steel so don’t want to pay extra to get stainless steel appliances. Granite and quartz countertops hit the middle of the list but fared better than walk in closets. Who knew? It is harder to fix closet size than countertops so that choice doesn’t make sense to me. Good view ranked high with everyone but guest bedroom was a close second for the GenXers and Millennials. Not for the Baby Boomers–guess they have had enough guests in their lives. 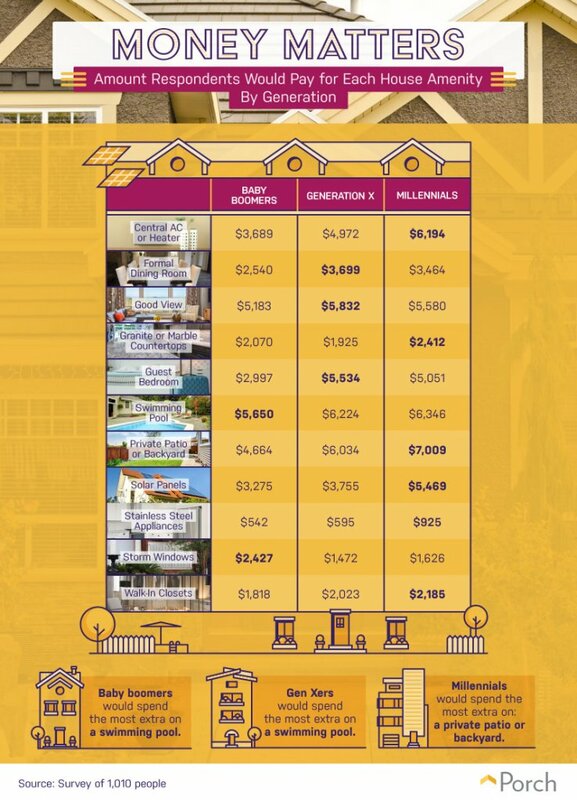 I am surprised that baby boomers were on the bottom of the list for what they would pay for formal dining rooms. Would not that be a “comfort” feature that resonated with baby boomers? Or is the thought that the open floor plans without a lot of room to gather around the table is what is driving the younger generation to want a formal dining room? Back in the day it separated the “grown ups” from the “kids”; maybe that is the appeal. The Baby Boomers were more likely to pay for items like storm windows than the younger crowd. The breakdown is in the infograph for the picks of each generation.